Being part of something is a very grounding experience and that can apply to the work place, as well as the heart of the home. When cancer strikes, it does not discriminate and the ripple effects are far reaching. All of us, either close to home or indirectly, have been effected in some way by this invasive disease. 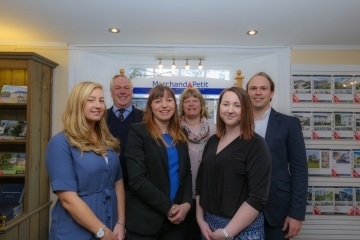 The team in Marchand Petit’s Totnes office felt moved to be a part of the fund-raising initiative for World Cancer Day 2017 and Martha Tabb is gearing up for the special day. She did not hesitate in immediately thinking of ways to get involved with the Union for International Cancer Control’s (UICC) world awareness day. Established at the World Summit Against Cancer held in Paris in February 2000 and taking place under the tagline ‘We can. I can’, World Cancer day explores ways in which individuals or collectives can do their part in reducing the global burden of cancer. So please drop by the stand on Friday 3rd to purchase a cake or two in support of World Cancer Day and meet some of the Marchand Petit team.